***NO ONWARD CHAIN*** This three bedroom terraced family home is situated in the popular Hawkslade development within easy reach of local shop, bus route, schools and Stoke Mandeville hospital. 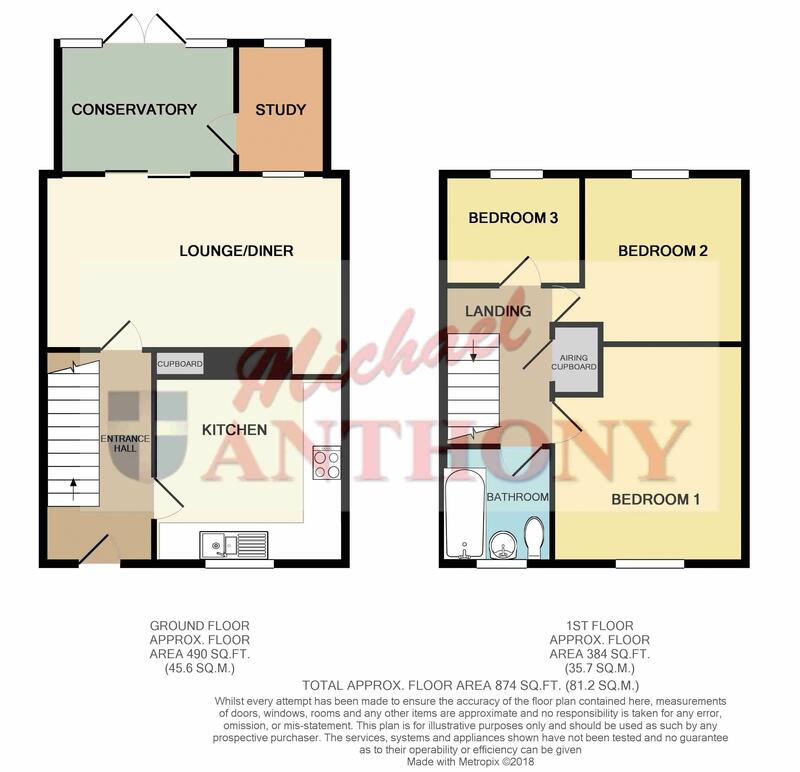 The accommodation briefly comprises of entrance hall, kitchen, lounge/diner, conservatory, study, three bedrooms, family bathroom, driveway parking, enclosed rear garden and garage in a block. For further details or to arrange a viewing please contact Andy. Radiator, stairs rise to the first floor, door to kitchen and lounge/diner. Fitted with a range of storage units at base and eye level, work surface areas, one and a half bowl single drainer sink unit, double glazed window to the front, space for washing machine and fridge/freezer, tiled splash back areas. Patio door to the conservatory, fireplace with gas fire. Partitioned area of the conservatory to provide a study area. Doors to all rooms, airing cupboard, access to loft space. Double glazed window to the front, radiator, built in wardrobe. Frosted double glazed window to the front, low level wc, pedestal wash hand basin, bath with shower attachment, radiator. Block paved driveway providing parking to the front. Laid to lawn, gated access to the rear.